BURNET — Josh Phillips said he lost his purpose for nearly a decade when he was honorably discharged from the U.S. Navy. Competing in obstacle courses gave him the resolve and confidence to move forward with his life. Now, the fitness staff member of the YMCA of the Highland Lakes at Galloway-Hammond wants to help others who feel like he did find their way again through his “Oscar Mike” Endurance Operations race, which starts at 8 p.m. Saturday, Dec. 9, and finishes at 2 a.m. Sunday, Dec. 10, at the facility, 1601 S. Water St. (U.S. 281) in Burnet. Cost is $45 for YMCA members and $50 for non-members. Go to ymcagwc.org to register. Phillips is creating the obstacle course himself, fulfilling a desire to share his love of the sport with others. He dealt with some personal issues after being honorably discharged from the Navy, he said. People in the service have their day planned for them, which includes what to wear, when to eat, when to work, when to exercise, and other activities that civilians do for themselves. When Phillips was discharged, he had to figure out for himself how to plan his day. 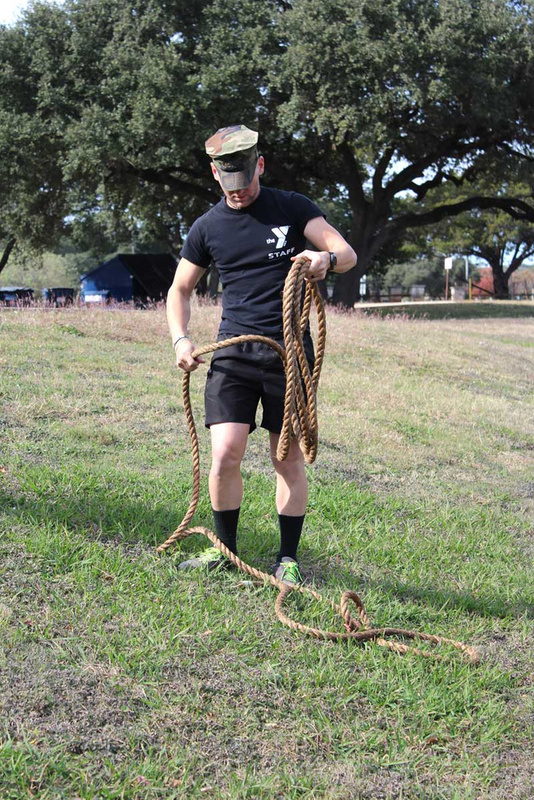 About eight years after he got out of the Navy, Phillips discovered obstacle course training, which tested him physically and mentally. Best of all, he got a new lease on life because of the confidence it gave him once he completed a race. With that newfound confidence, he believed he could do just about anything he set his mind to. Phillips said individuals don’t have to be in shape to participate, noting the obstacles are more mental than physical. Phillips would say only that the course is made up of “a bunch of different obstacles.” In military jargon, "Oscar Mike," used on the front lines, means "on the move," which is appropriate for an endurance race. The race is six hours long with a few breaks. Participants will get a challenge coin at the end. Participants should expect to want to stop while competing, and that’s to be expected, Phillips said.